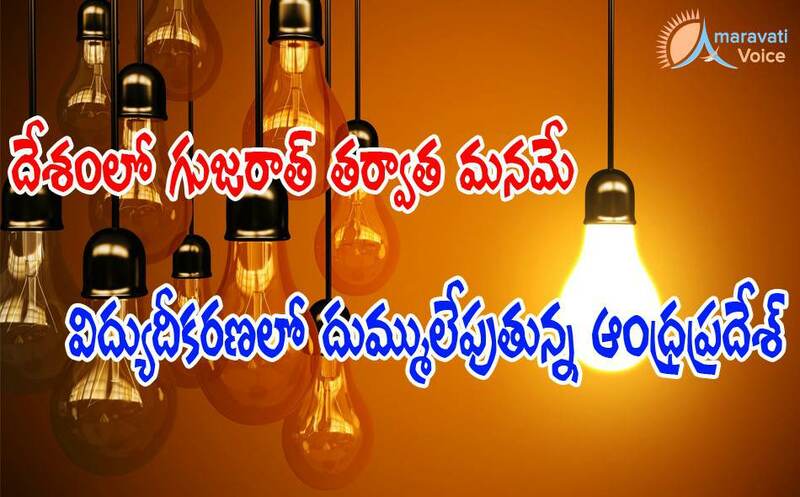 Andhra Pradesh has become the second state in the country after Gujarat to achieve 100% electrification of households, a latest report has said. JM Financials published the report based on a national -level survey on electrification in various states. Discussing this through a tele-conference with top officials of the Energy Department on Tuesday, Chief Minister N. Chandrababu Naidu said that the state has achieved 100% electrification by June-end. chalk out an action plan to be implemented from the grassroots level so as to make the power sector self sufficient in the long run. Stating that the achievement in the power sector in the last two years is significant, the Chief Minister felt that it was not sufficient.